When I met Inada Kôzô at the “Off-ICMC” festival in Berlin in 2000, he suggested to start a collaboration, stating that our sounds “had the same smell”. The project would be named i, in the continuity of his previous works: a, b, c, etc. Inada first sent me sound files, and I began to use them freely in different settings and spaces, as I had done with the Oval sound files during the “dok” collaboration. They were mostly long sustained tones, some of them sampled from the environment (rain, fire), a classic orchestra, or church bells, etc. and processed through multiples delays. I began to mix Inada's sounds with my own sound collection, looking for connections of timber and “smell”. At first I had no particular method, just making intuitive associations, or enjoying chance encounters related to alphabetic order of the files names, etc. I had already been working for several years with choreographer Ishikawa Fukurow. It seems there was also a “smell” connection between my music and his dance. In 2005, Ishikawa asked me to work on the music which would provide the time frame for his new dance work “Kafka”. “Ishikawa designs and builds himself robots which move on the stage together with the dancers, leading to a dialogue between the human and the machine. On stage, dancers and robots build strange relationships of fascination, mimicry or conflict. "Kafka" is a show that immerses the viewer in an atmosphere inspired by the temporality of the "Noh" theater. A dancer, a robotic spider and a human brain replica express the different phases of an internal conflict. It functions as a reflective face to face, where the human recognizes the machine in his hand to be hieratic and where the machine mimics human gestures and aspires to be alive.” (from the program of Festival “Bains numériques”, Enghien-les-Bains, 2005). In 1998, I had produced a 20-minute sound work for the legendary butô dancer and choreographer Maro Akaji, director of the “Dairakudakan” company (who was also a yakuza in Quentin Tarentino’s “Kill Bill”). 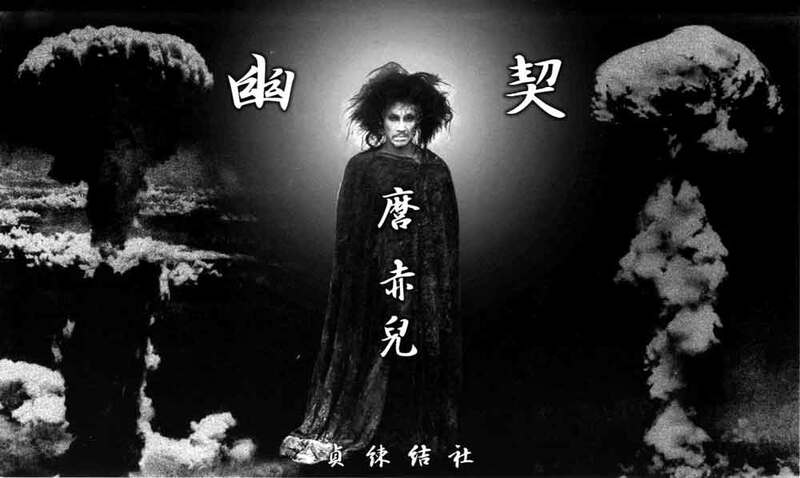 Maro declaimed a haunting poem, with the title “Yukei” (“Pledge to the Dead”), which became the time frame of a video work where he was seen wandering like a ghost through a city devastated by atomic bombs. The sounds sequences which I composed according to the meaning and musicality of the poem read aloud, were fitting the idea of “internal conflict” of the dance by Ishikawa. I thus decided to use some of the “Yukei” sound material together with Inada’s sounds to compose of the overall structure of “Kafka”. We worked then together to decide about cues, adjusting the timings of some of the sound sequences to the needs of the choreography - however the first draft of the overall structure was left almost untouched. The above stories, images and ideas guided the structure of the final composition, which I sent back to Inada. He added his last touch, splitting the 53-minute Kafka sound track into 5 tracks: i (10:19) , i (08:07), i (07:55), i (18:35) and i (08:04). During the following years, Inada and myself did several concerts together, using i as sound material, notably during the Sightsonic Festival of York (UK) and the Setouchi Triennale (Japan). In 2015 Cameron Shafii contacted me regarding my 1996 “undirected” max patch, and subsequently suggested to release the i collaboration on his music label as two LPs, graphically designed by Joe Gilmore, together with the corresponding digital files. It took many years before i was released on an ideal format, but the music sounds somehow atemporal, or suspended in time, like a Noh theater play which massages the audience brain. PROP ART ADJA NN APPR PPER VVINF $. This collaborative piece by Сhristophe Сharles and Kozo Inada is a response to the acoustic space of a metallic elevator shaft. The sound by Inada is placed at one extreme of the shaft, and the sound by Christophe Charles is placed at the other extreme. Visitors are invited to enter the space on floor 2 where the two sounds mix in the unusual acoustic space of the metal cuboid. 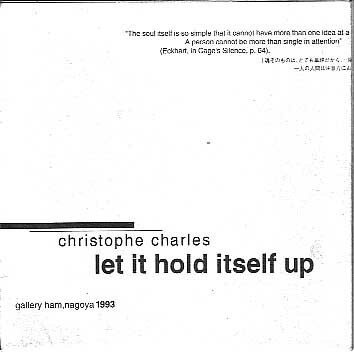 Christophe Charles composed the two soundtracks, the lower one with his own sounds, the upper one with the sound samples Kozo Inada provided for the installation. Charles' sound is 23 minute-long, while Inada's sound is 19 minute-long. They are played simultaneously and keep shifting one from another. One complete loop's duration is 19 x 23 = 437 minutes = 7 hours and 17 minutes. V-A-C Live is proud to launch its future Moscow home GES-2, with GEOMETRY OF NOW, an investigation of sound through site-specific interventions in the space of the former GES-2 power station. The project features a series of installations reclaiming the raw structures within GES-2, an interdisciplinary lecture and workshop program developed around topics in sound art studies and performances that reconfigure its architectural space. "The sound installation takes place in the elevator shaft, with one speaker at the top of the building, and one at the bottom. The visitors can listen to the sounds from a place in the middle of the two sound sources, and hopefully sense (vertical) space through sound movements and textures. The sounds are conceived in relation to the texts and photographs which were provided about the past and present of the site. For many years I have been working on sound works which are close to the idea of Marcel Duchamp’s “sculpture musicale”, where music is not only conceived as a time art but also as a space art: “different sounds coming from different places, and lasting, producing a sculpture which is sonorous and which remains” (1). 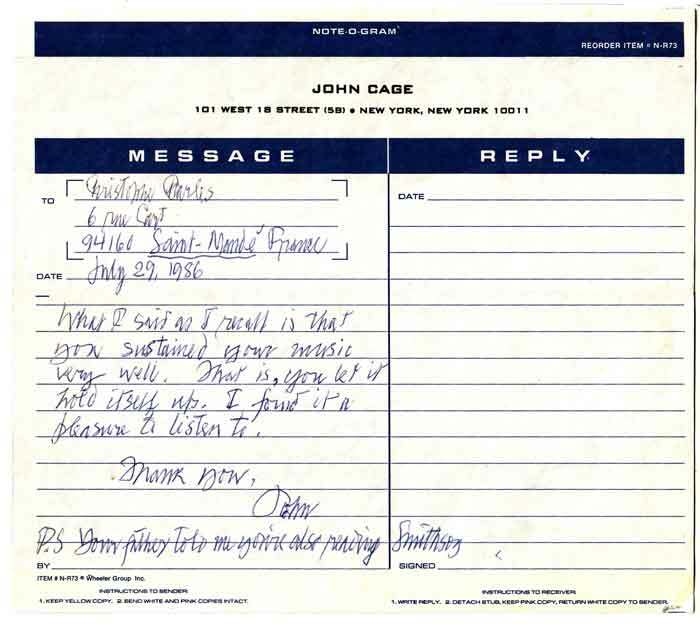 John Cage was probably thinking about “sculptures musicales” when he said that he had "an enjoyment not just of the sounds which start and stop and have in them some indication of change", but also of "the hums and drones of the technology which gives us comfort.” (2) My music focuses on those hums and amplifies them. The work is also related to the Japanese garden where surrounding landscapes and soundscapes are sometimes “borrowed” and become a constitutive element of the garden. Similarly, the music cannot exist only for itself but is always in relation with its environment, so is the world today: the enjoyment of our interdependence is a condition for our survival. (1) Marcel Duchamp, "Duchamp du signe", Flammarion, 1994, p. 47. (2) Charles Amirkhanian interviews John Cage on January 8, 1987, San Francisco Exploratorium’s "Speaking of Music" series. Koncert i Alsion i Sønderborg, som viser hvordan komponister i dag ved brug af tidens nyeste teknologi skaber egne værker og samtidig lader sig inspirere af tidligere tiders klassiske værker. Musik af Mozart, Luc Ferrari, Mahler, Christophe Charles og Brahms. Christophe Charles, elektronik og computer. (Alsion, Sønderborg 11. november 2016). Composers / Performers : Christophe Charles, Opitope, Tamaru. Composers / Performers : Christophe Charles, Opitope, Christopher Willits, Taylor Deupree, Toshimaru Nakamura, Tetsuro Yasunaga. The exhibition is oriented around a trilogy of works titled “Destruction,” dealing with the end of the world. Following the unfolding of the exhibition itself the “End of the World Crisis” appears first and is an overture to destruction, composed of a series of economic, ecological and political crises. “At the End of the World”, the second movement, reveals the different forms and processes of destruction through four individual pieces in two exhibition rooms. Within the vast emptiness of Room 201, in a quiet yet oddly sinister atmosphere the third piece “Imagination of the End of the World” is displayed. 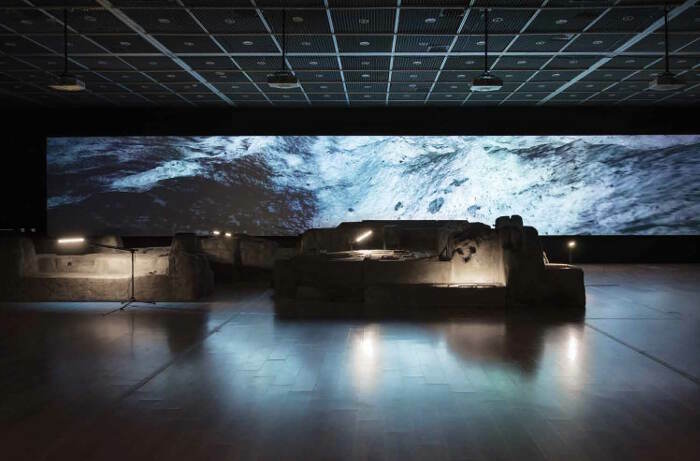 This is an installation comprised of real objects—made on-site—and futuristic multimedia, which transforms the gallery into a hypothetical simulation of an archeological excavation site in a future where humanity is already extinct. This highly immersive, sensory exhibition experience is perhaps a little like an alternative chapter in an apocalyptic novel or film. The narrative is structured so that true/false, genuine/fictitious elements are mingled together, and so that spectators wandering through the exhibition will find it difficult to tell fact from fiction. The Telofossils exhibition highlights the specific narrative mode, existentialist thought and crucial philosophical questions that characterize the contemporary technological age. From it, we can glimpse the various faces of “Destruction” that are visible in contemporary civilization. For instance, in this age of information and the internet, the weakening of mankind’s tangible existence and the deterioration of values is a social reality; the media obsessively focus on consumption, war, natural and human disasters and likewise manifestations of our civilization; moreover, the role and meaning of “memory” in the technological era is becoming ever more ambiguous. Standing before the exhibited “Telofossils” exhibition, viewers can contemplate the diverse perspectives of a “future archeology". With the support/avec le soutien of CALQ, CAC, Institut Français. « Sculpture musicale – Sons durant et partant de différents points et formant une sculpture sonore qui dure ». Je n’ai appris l’existence de la note de Duchamp et des « Sculptures musicales » de Cage que récemment, et me suis aperçu qu’elles allaient exactement dans le sens de mon travail, et de celui de beaucoup de mes mentors et collègues. Pour ce programme d'écoute une sélection succincte de musiques spatiales composées avec des « hums » et des « drones », qui prennent souvent en compte l’idée de « non-intention » chère à Cage, tout en se mettant sur un pied d’égalité avec les sons de l’environnement, pour former dans l’air une « sculpture moléculaire temporelle » (The Real Frank Zappa Book, p.144). 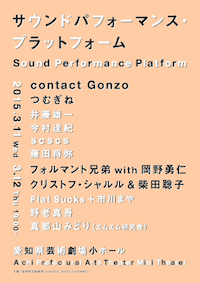 Recording of the concert of November 24, 2011 at Tensai Sansujuku in Asakusabashi, Tokyo. Free improvisation by Boris Hegenbart and Christophe Charles. Stereo recording direct from the main mixer to a Zoom H1. No overdub or editing. Each episode of this series is followed by a special accompanying programme of exclusive music by leading sound artists and composers working in the field. This show presents two works, the first by Japanese media artist Yasunao Tone, followed by a new piece by French composer Christophe Charles. Composer Rolf Julius passed away on January 21, 2011. He is known for his concept of 'small music' – a combination of multiple layers of electronic and natural sounds played through tiny speakers at low volume. He would use all kinds of small sized containers and receptacles (cups, little plates, flowerpots, etc.) together with the speakers to let them resonate in different ways. The experience of listening to his live music required active participation from the audience and was thus always very challenging. Julius' attitude and works have been of great inspiration for Charles, who through this 'Music for Julius', has tried to capture some of the characteristics of the colours and density of his music, in order to recreate a kind of 'small music' as he understands it. 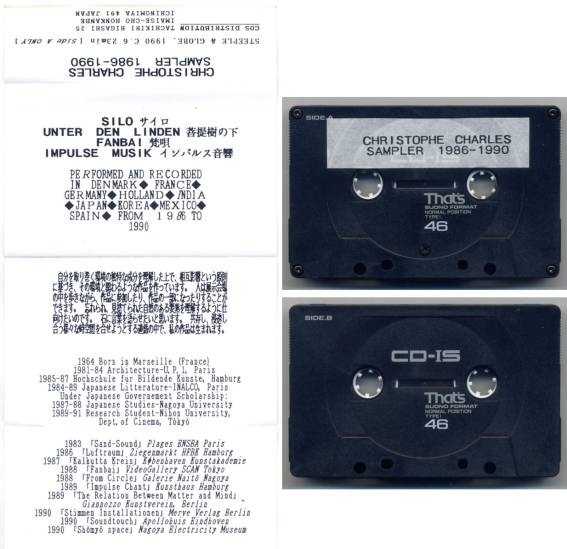 Some of the sounds were selected from Charles' own archives, others were recorded at night 'when insects and frogs are most loquacious, and combined with minimal electronic treatment'. The confrontation of those complex sound layers produce unexpected results and the listener has to find his/her way through a dense world of vibrations which merge into the real time environmental sounds where the listening experience is to happen. This track is a re- or de-composition of "mirages" by Olivier Alary / Ensemble (duration: 3'44", featuring vocals, strings, saxophone, percussions, guitar and mellotron), commissioned for the release of the album "Excerpts". The album was released in January 2011 by Fat Cat records (UK), but for an unknown reason this composition has not been included. The composition concentrates on the atmosphere created by the strings layers and the saxophone breathing sounds. 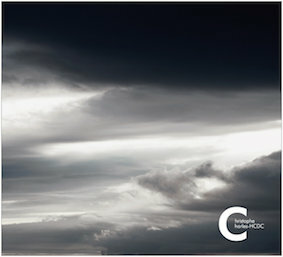 Other ethereal ingredients such as planes, thunder, rain, cymbals, piano, have been added. The music was used by Gregory Chatonsky for a time-lapse movie of his exhibition "Telefossils" (Taipei, 2013). 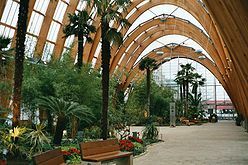 "a sound installation for children in sheffield's winter garden taking place on the 13th of june. sounds by artists including Ryoji Ikeda, Florian Hecker, Mira Calix, Evol, Francisco Lopez, goodiepal, christophe charles and taylor deupree will be 'hidden' around the indoor gardens for children and families to discover. produced and curated by mark fell and mat steel for lovebytes festival 2010." This is a 10' version of the original 42' composition (2008). This version was published in 2010 on the DVD "Daniel Charles et les mondes multiples" (Nouvelle Revue d'Esthétique, no.5, Paris, PUF). 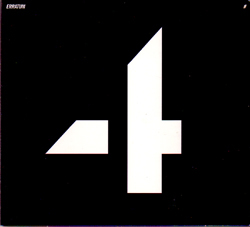 The original 42' version was released on Murmur Records in 2013. HCDC is dedicated to Daniel Charles (November 27, 1935 - August 21, 2008) and Henning Christiansen (May 28, 1932 - December 10, 2008). Some of the sound material has been composed in collaboration with Henning (birds, bells, pipes) from the time I met him in 1985. Other material has been composed during live events in Fall 2008. The ending part is made of sounds of Daniel breathing through respiratory devices, recorded during his last days in August 2008. Played at loud volume, the sounds move around the listener, and give impressions of contraction and expansion of outer and inner spaces. The wide range of frequencies and their movements make the work physical and immersive. Many sonic events happen in the low register, requiring thus this composition to be played through loudspeakers with a good response in low frequencies, and possibly extra subwoofers. This music is conceived as an interpenetration without obstruction of multiple and transparent time-spaces. Blixa Bargeld, John Cage, ILIOS, Inada Kozo, Alvin Lucier, and Area - International POPular Group (Paolo Tofani, Demetrio Stratos, Giulio Capiozzo, Ares Tavolazzi, Patrizio Fariselli) for their ideas and music. I heard the electronic work by Christophe Charles for the first time in a most inspiring ambiance, namely at the Musée Marc Chagall and its chapelle-like auditorium at a symposium to commemorate the life of Daniel Charles (in May 2009). I was immediately taken by the sonorous landscapes realized with most refined skils and electronic tools. I was not quite able to situate the work in the proper genre but I approached it or, rather, it approached me as musique concrète, electronically elaborated musical fresco. As a semiotician I had the strong feeling of getting surrounded by sound events, which made me like float in a gravitationless musical universe. A.J. Greimas launched the terms englobé/englobant (surrounded/surrounding) as early as in his Sémantique structurale in 1966, yet borrowing them in fact from the existential philosophy of Karl Jaspers. To put it in later ‘biosemiotic’ terms, the composition by Christophe Charles constituted a kind of musical Umwelt, to which it invited its listener to step in. In later reflection another philosophical evocation came to my mind, namely the famous metaphor invented by the great Persian philosopher Avicenna, to prove the existence of a subject, namely a man floating in the universe without any sensory stimuli: would he then be able to say to exist? In going through the piece by Christophe Charles I first encountered elements which I could only verbalize as follows: birds, nature, clocks, echoes, murmurs, barking, waves of a sea, winds, ocean. Obviously signifiers having their ‘first articulation’ – to recall the old debate of Lévi-Strauss whether musique concrète was a language or not – to his mind it was not: since it lacked the second articulation (whereas neither serial music was language missing the first articulaton i.e. recognizable musical shapes as its ‘words’). I remember having once discussed with Lelio Camilleri, Italian colleague and expert, how difficult it is for an electronic composer to write narrative pieces. Narrativity presupposes of course events ordered in time. In most general terms: something must become something else, x must become y. However, the work by Christophe Charles is very Cagean: it does not impose or force upon the listener any temporal scheme, disengagement and engagement in Greimassian terms, forming what we call a narrative tension or arch. We are rather like making a journey in a sonorous transcendence without time, beyond our Dasein, and meeting in this huge space expanding to us hitherto unknown and alien phenomena. But when I say ‘ we’ where is this subject? There is indeed not much actoriality in the traditional sense in this music i.e. anthropomorphic human-like ‘themes’ or sounds. Nevertheless when we recognize something like ringing bells or a flute coming closer and the distanciating we have at least some traces of human signs, so a kind of vague actoriality. We are moving like on pre-symbolic level of units by cognitive scholars like Marc Leman. There is also a feeling of absence of actors, i.e. loneliness amidst huge space with a kind of water-like natural element. This is something like creation of the world: there is first only water and then comes a bird of the air and searches for a place to rest..and lays her nest and eggs on a knee of a water nymph. Such is the myth in Kalevala, which inspired once Sibelius for his Luonnotar. Christophe Charles shows us a modern version of this creation myth. We hear drops into water, and then distant sounds of machines, like approaching us from somewhere, the idea of a crescendo like in Wagner’s ouverture to Lohengrin. At the moment 7’57’’ we hear falling down of trees, something like shooting at a distance, maybe with a laser ray – if it had a sound. In the moment 9’07’’ we hear rain, and visually something very bright, dazzling, then penetrating sounds like emitted by robots, like machines left alone giving still signals endlessly. Here I thought that this music is truly transcendental, there is no movement up/down in the outer space, this is like pure virtuality. There is something like a type writer, bird and then twisting stones, movement gets deeper, all sounds are heard like in a jungle, not tropical but fictive. But I notice: how strongly rooted is our habit to search for meaningful elements of first articulation! In fact, what we have met in the music by Christophe Charles is exactly the same as what Marcel Proust said we always face when listening to music, namely we are like making a journey to an unknown star, we are looking at the reality with another’s eyes – and note: he said that about music. Altogether the composition by Charles is somehow implicitly also visual, which is certainly not anything against the pure essence of music as a sonorous art. « Non, ce n’est pas une collaboration, mais bien un CD partagé entre Christophe Charles et i8u (la Québécoise France Jobin) qui ont droit chacun à une demi-heure. Charles propose une unique pièce de 30 minutes, concoction d’enregistrements de terrain et ambiants placés à l’extrême frontière de l’audible - je dois absolument réécouter pour m’en faire une bonne idée, elle est passée épouvantablement inaperçue. La proposition d’i8u est plus substantielle (du moins, au premier coup d’oreille), tout en respectant l’esthétique très microscopique de l’étiquette (qui correspond à la sienne, d’ailleurs). Cinq pièces donc, aux bourdons plus présents, aux couleurs froides, aux sons parfois en creux - “Montag” est très agréable. Mais ça ne vaut pas son dernier album chez Room40. « An der Untergrenze der Wahrnehmungsschwelle beginnt dafür die Aufnahme von Christophe Charles, unter den linden (nv°22). 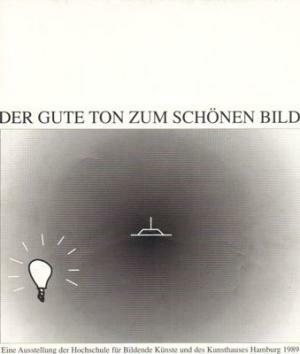 Das Stück, das ursprünglich den schönen Titel „Why is there something rather than nothing?“ trug, bezieht seine Umbenennung nicht auf Berlin, sondern auf einen spanischen Lastwagen gleichen Namens sowie auf den Filmtitel „Sous les tilleuls“ von Jules Massenet, der – wie auch dieses Stück gegen das Ende zu – Glockentöne und ihre Veränderung durch Windgeräusche hörbar macht. Komponiert nach dem Tod seines Vaters Daniel Charles, schafft Christophe Charles aus vielen field recordings eine Computermusik in stiller, friedlicher Atmosphäre. Teil zwei dieser 22. nv°-CD entstand während dreier Monate, als i8u, bürgerlich: France Jobin, in Krems/NÖ artist in residence war. Der leere Raum des Minoritenplatzes inspirierte sie zur Quadrophonie-Komposition und transit. Von der Struktur und dem Gestus her ideal zur Arbeit von Christophe Charles passend, öffnet auch die Klanginstallation von i8u ruhige akustische Räume. In Summe zwei wundervolle soundscapes: skulpturale Elektronik an der endlich abgeschafften Grenze zwischen Musik, Architektur und Bildender Kunst. This is one of nonvisualobjects’ three new releases, all of which are collaborations, or split eps, by two artists. Here we have the latest by both Marseille’s Christophe Charles and Canadian sound sculptor i8u respectively. 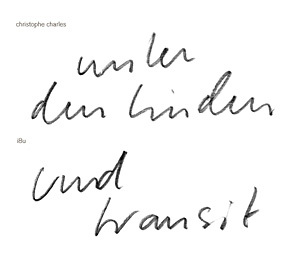 Starting with Charles’ Unter den Linden, a wonderfully atmospheric 30-minute composition which was performed in concert at SND Studios (UK) in early 2009. By using the sounds of wind — and of flying things like planes and birds — the skies are heralded. The above and beyond sounds pay homage to his recently deceased father, Daniel Charles. There’s something of a spirited rumble, though this is quite low-flying and vibratory. A transitional piece that lulls and suspends throughout, like a haunting reminder, or a flickering light at the end of a dark cavernous space that you gravitate towards curiously. Once through you are out on a bustling street, walking through the din of the city. Worlds slowly collide, politely shifting as an ascending craft swallows the scene, leaving behind a semblance of trickling water and whisper. En 1957, Jacques Scherer édite le LIVRE de Mallarmé pour une première publication (désormais épuisée) et en 1967 Jacques Polieri réussira à en créer une scénographie électronique. Hasard spatio-temporel et symbolique, c'est justement entre 1957 et 1965 que Frederick Kiesler transfigure les codes scéniques et construit une «grotte du Livre» à Jérusalem. L'écriture contemporaine est depuis déterminée et déterminante face aux technologies numériques quand tout semble débuter par un langage là où le livre semblerait s'éteindre ? C'est à partir du LIVRE dont le manuscrit reste aussi ésotérique - comme le langage informatique qui nous connecte avec l'univers - que Franck Ancel a tissé un réseau de collaborations pour le projet «0000» à partir du manuscrit du LIVRE de Mallarmé. Comme le LIVRE taoïste du destin, un échiquier repose sur le chiffre 64 et seule la mise en jeu suffit comme réponse. A partir des feuillets du manuscrit original conservé à Harvard aux USA, Ancel va mettre en espace, de manière aléatoire et en montage, l'ensemble des feuillets autour du chiffre 64. Quand toute l'histoire des arts depuis Mallarmé semble n'avoir été au monde que pour aboutir à un échec. Une CONSTELLATION de créateurs et auteurs ont accepté de participer à une mise en jeu de 64 sons de 64 secondes à l'invitation de Franck Ancel : Annie Abrahams - Rodolphe Alexis - Art of failure (Nicolas Montgermont - Nicolas Maigret) - Joseph Attié - Jean-Pierre Balpe - Pierre Beloüin - Hervé Binet - Dinah Bird - Julien Blaine - Philippe Bordas – Jean Bordé - Antoine Boute – Philippe Castellin - Laurent Chambert - Christophe Charles - David Christoffel - Thierry Coduys - Michel Corvin - Sylvain Courtoux - Laurent Dailleau - Magali Daniaux & Cédric Pigot - Mathias Delplanque - Dina Douieb - Vincent Epplay – Erikm - Yvan Etienne - David Fenech - France Info - Bertrand Gauguet – Nicolas Gimbert - Michel Giroud - Bernard Heidsieck - HP Process (Hortense Gauthier - Philippe Boisnard) - Joël Hubaut - Marc Hurtado - Etienne Jaumet - Alice Keller - Pierre-Yves Macé – Stéphane Mallarmé - Léonardo Marcos - Bérangère Maximin - Pierre Ménard - Jean-Claude Moineau - Montagne Froide (Valentine Verhaeghe - Michel Collet) - Jean-Marc Monterra - Joachim Montessuis – Cécile De Montigny - NG - F.J. Ossang - Julien Ottavi - Tibor Papp - Serge Pey - Richard Pinhas - RadioMentale (Jean-Yves Leloup - Eric Pajot) - David Ramsamy - Jean-Philippe Renoult - Jocelyn Robert - Julie Rousse - Gaël Segalen - Emmanuel Sévigny - Black Sifichi – Ghedalia Tazartes - Kasper T. Toeplitz - Valérie Vivancos - Wild Shores (Evelyne Hebey - Fred Nouveau - Marc Roques) - Bertrand Wolff – Christian Zanesi. Ces CONSTELLATIONS sont des visions d'un univers où chaque échec passé est une victoire sur les étoiles. Texture, rhythm and movement in all of its disguises, this anthology disc captures the myriad of expression that has become the hallmark of the Test Tone series at Tokyo’s SuperDeluxe. Focusing on riveting improvisation and stark electronica, the music collected here covers a lot of ground, from balloon duets to helicopter compositions and other experiments in noise. Challenging and evocative, this presents wide-angle snapshot of Japan’s current wave of international sound pioneers. Nine internationally acclaimed sound artists create new compositions based on the earliest known recording of the human voice. The original recording was made by Édouard-Léon Scott de Martinville on April 9, 1860 using his own invention, the phonautograph, and consists of a series of scratches on a roll of blackened paper. Scott had never developed a way to play back his recordings and they went unheard for 148 years. 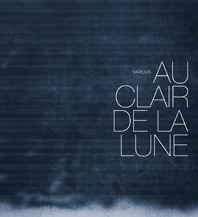 In 2008, scientists at the Lawrence Berkeley National Laboratory converted the thin lines back into audio, allowing us to hear a woman singing a segment of the folk song “Au Clair de la Lune”. "breathe" was composed in August 2008 in Antibes, France. Free improvisation night with Christophe Charles, Yasutaka Watanabe and Hoonoda Kim on laptops and electronics, and dancers Lisa Koiso and Woo Kyung Son. The Momoposo events are organised by John Russell at the Vortex jazz club in London. 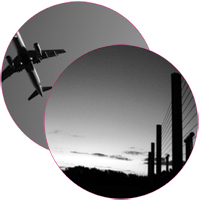 "Airport Symphony, commissioned by the Queensland Music Festival and Brisbane Airport Corporation, documents and synthesises the experiences of travel. Each piece represents a personal meditation on aspects of travel in the modern age and suggests ways in which we control, augment and ultimately exists in a time where almost no part of the face of the planet is inaccessible. Each of the pieces features a source recording made in and around Brisbane Airport between March and June 2007 –in a raw form or transformed by processing. Audio diary entries cataloguing the epic possibilities of flight, aero-passage and human bodies in motion and even at rest." "instrumentarium" on the Staubgold label is an exciting cooperation of artists from multifaceted areas like New Music, Sound Art, song writing, improvised music, and dub music. 18 guest musicians have recorded exclusive overdubs for boris d hegenbart: Michael Vorfeld, Fred Frith, Bernhard Guenter, Marc Weiser, Ed Osborn, David Grubbs, Georg Zeitblom, Stephan Mathieu, Sascha Demand, Martin Siewert, Martin Brandlmyer, Oren Ambarchi, Christophe Charles, F.S. Blumm, Felix Kubin, Boris Hauf, Hanno Leichtmann & Hannes Strobel. 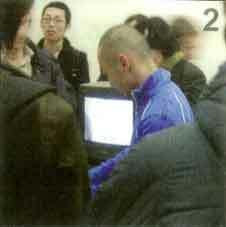 ...) to produce compositions with the material of his second Solo-CD [2/TAU] (released in October 2003 on Quecksilber). The [2/TAU] CD contains 13 "interviews": the concept of the remix is to remove the human voices and replace them with other sounds, preferably acoustic instruments. There would be 2 mono-channels on the [3/TAU] CD: channel-01, Hegenbart's remix of the [2/TAU] CD without the human voices; channel-02, guest musicians' remix of the voices... A tribute to an early DUB-LP by Lee Perry. For my contribution I have extracted all voices from all original 13 tracks and convolved them with guitar, violin, and stone rubbing/scrubbing sounds. I have then superimposed all convolved tracks to fit the channel-02 concept. Cover Design by Yumiko Hegenbart. 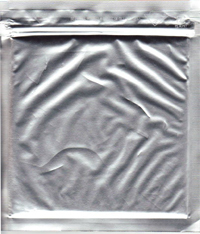 Aluminum packaged cd compilation curated by Nibo [LINE/Raster-Noton], a former student of Musashino Art University, now member of Raster-Noton in Berlin. Artists on this compilation: Carsten Nicolai, Christophe Charles, Frank Bretschneider, Nibo, Byetone, Richard Chartier, Sachiko M., Sogar, Steve Roden, Taylor Deupree, and Otomo Yoshihide. 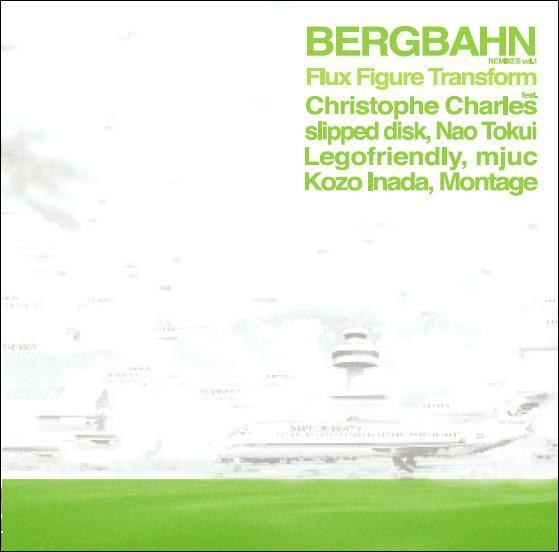 "undirected/placode" is the original version of "Interaural Saucer" from the "Bergbahn: Flux Figure Transform" compilation by Yamamichi Akira. 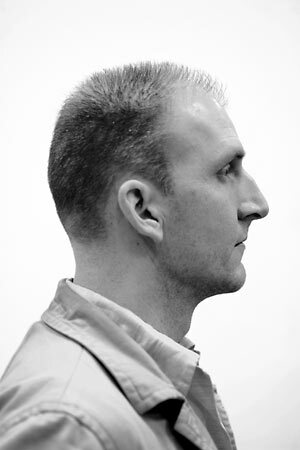 It is also the basis for the "undirected/sur_terre" track on the "Sur Terre" compilation by Gregory Chatonsky & Nicolas Rousseau (see below). A compilation of 11 compositions by 11 composers (Fennesz, Scanner, Pure, Vladislav Delay and others) on the theme of people meeting on railroads. My contribution was made with samples of the music of Kako Yuzo and Inada Kozo, and recordings of the Howrah-Puri Express (South Eastern Railways in Bengal, made in 1984 with a cassette tape recorder). The voices of two actors (a French man and a German woman) were processed with a convolution patch in Max/MSP using samples of the Sibelius 4th symphony. "Chaque musicien a composé un morceau original après la remise d’un DVD audio comportant un ensemble de sons provenant des archives de la SNCF. De plus, il a été remis un court synopsis de sur-terre et la description détaillée d’une scène à explorer: le couloir, la gare, le wagon-restaurant, etc. On retrouvera chacun de ces morceaux dans la partie concernée sur le site Internet sur-terre.net." Concert at KD Japon, Nagoya, on Jan. 30. 2005, organized by Okazaki Toyohiro and Hirao Yoshiyuki, with Akamatsu Masayuki, Okazaki Toyohiro, Hirao Yoshiyuki, and Christophe Charles. "01" is a solo act where different compositions are remixed live: Dying For (samples from the nvsc collaboration), undirected/sur terre, and other elements. 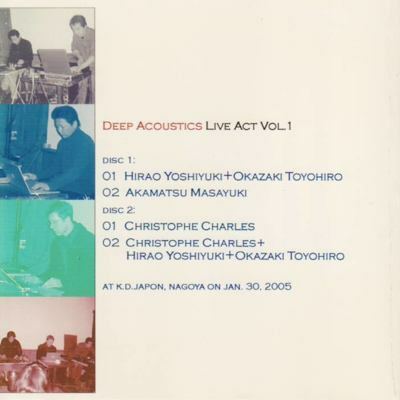 "02" is a free improvisation of Hirao Yoshiyuki, Okazaki Toshihiro, Christophe Charles. This composition consists in 42 short (30 seconds to 2 minutes) compositions which are to be played on three tracks simultaneously, continuously, and randomly. nu: is a collaboration unit with musicians from Tama Art University (Kubota Akihiro seminar) and Musashino Art University (Christophe Charles seminar). Members are: Soichiro Mihara, Akihiko Taniguchi, lalalila, Yuki Kaneko, Akihiro Kubota, Satoshi Yashiro, pico pico stomachs (Kikuchi Haruma, Koyanagi Junji, Fujino Takatoshi, Kudo Masayuki), Atsushi Tadokoro, Christophe Charles. 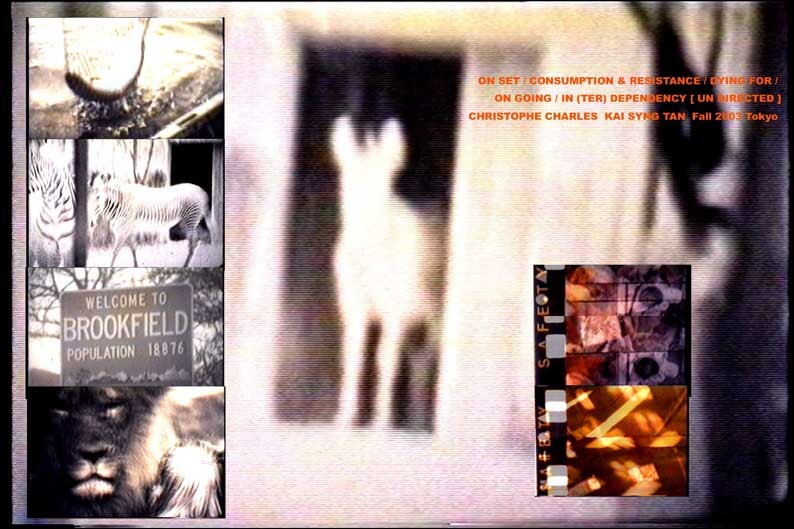 On the 1st CD, Charles' solo contribution consists in "Sisyphe", a new version of "hean" (from ritornell 13) with unreleased material from the "continuum" series (cf. Mille Plateaux 22). The piece was composed for a collaboration work with Kawaguchi Takao and Kai Syng Tan, using images of the Ryoan-ji garden. On the second CD, I have edited the "nu:" concert and studio sessions which were performed according to an analysis/reconstruction of Stan Brakhage movies. from the compilation CD "...as..."
28 tracks on two CDs taken from Ben Green's 'as...' series. Contributions include music from Steve Roden, Michael J. Schumacher, Tetuzi Akiyama, Yannick Dauby and many more. The CDs come wrapped in uniquely designed wax-proof paper. A composition using sounds by Inada Kozo (who has remixed my own sounds with his original max/MSP patches) for "Window Scape", a video work by Utsumi Akiko (Japan) presented in Turku, Finland. The video shows a paper window (shôji) with very delicate shadows of trees, appearing and disappearing. « CC : born in 1964, Marseille, France. Lives and works in Tokyo. Since 1983, production of installations, concerts, CD, using sound, space, light. 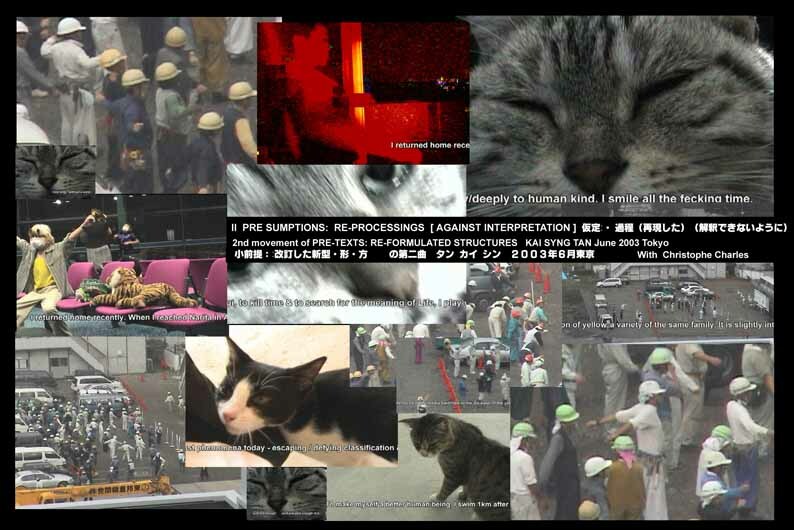 Since 1987, historical & theoretical research on media arts. HC : born in 1932. Studied at the Royal Conservatory of Music, Copenhagen 1950-54, clarinettist at the Royal Guards 1955-60. Further studies with Vagn Holmboe. From 1964 cooperation with prof. Joseph Beuys at the Düsseldorf Academy. His production includes a number of compositions in free style. Decomposition/remix by Christophe Charles of a concert by Henning Christiansen (voice & metronome) & CC (soundscape) at Hamburg HfBK (1997) organized by Ernst Kretzer. This track has been played during the concert at Cour Vitree on April 25, 2004. This is not a recording of the concert, but the material which has been heard through a Bose 402 system with the two full range speakers placed in front of the two doors in the middle of the shorter walls, and the subwoofer 502 placed in the middle of the hall. These materials have been chosen and readjusted for several hours before the concert in order to fit the long reverberation of the hall. The hall has very particular acoustics, and it was necessary to make precise adjustments to make it sound properly. Projet d’échange croisé ("setsuzoku" signifie connexion, relation, communication) entre étudiants d’art japonais et français. Un catalogue tout carré et en images des expositions, performances, sets musicaux (d’où la présence d’un cd audio), présentés dans les deux capitales. Le catalogue Setsuzoku retrace en 80 pages et un compact-disc la double rencontre de deux groupes d’étudiants et jeunes artistes issus de l’université Musashino à Tokyo et de l’Ensba, orchestrée par Christophe Charles et Guillaume Paris, tous deux artistes de renommée internationale, respectivement professeurs et responsables des départements « Nouveaux Médias » au sein des deux universités. Ce catalogue à double-entrée reprend, à la manière d’un livre d’images, les deux expositions du projet (à Tokyo et Paris) en 2003 et 2004, ainsi que les évènements (performances, concerts à l’Institut Franco-Japonais de Tokyo, Batofar, Science-Po Paris, ENSBA) qui ont ponctué cette double rencontre. Le compact-disc présente une série de pièces sonores créées ou jouées à l’occasion des différents concerts liés à Setsuzoku 1 et 2. A spatial remix of the basic elements of former composition "verena", using an unreleased speaker system conceived in Sony laboratories, enabling sounds to move 3-dimensionally. 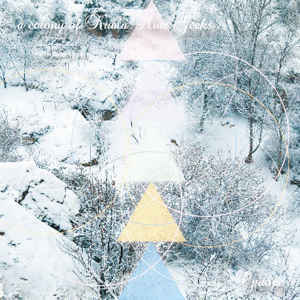 A concept compilation CD by producer Akira Yamamichi a.k.a. Bergbahn. The individual tracks take a few samples by Bergbahn as their starting point. Unlike in the traditional remix approach, the artists were invited to use digital signal processing to mix, alter and transform the given samples into something entirely new and unique--even to the point of unrecognizablity as compared to the original sample. The artists then used the outcome of their individual processing as part of mixing a new track in click house / minimal style. A 60 second loop inspired by sound recordings made by Mike Hentz / Minus Delta T (The Bangkok Project) in Afghanistan and Irak in the early 1980s. 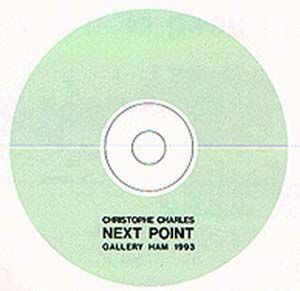 From the compilation CD "60 artists protest the war"
1- 'Next Point - Hommage à Henning Christiansen', is a performance given at the MANCA festival in 1992, it is an extension of 'Media Opera' organized by Yamaguchi Katsuhiro in October 1992 on Awaji Island to celebrate the foundation of his 'Village of the Arts'. One can hear the rain falling in the south from Majorca, the voices of salesmen of coffee and boiled eggs of the station of Howrah, beside Calcutta, the chants of the monks of Todaiji in Nara, and the calls of the merchants of ice cream of Hangzhou (recorded by Martina Diestel). 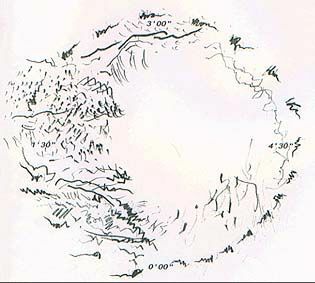 Other sounds were sampled among the works of Henning Christiansen: sporadic chords of the piano of the cave of Penthesilea, the very particular sound of the long pipe which Christiansen hits more or less regularly on one end, 'in order to give a certain feeling of time', or the bells and the tuba of the 'garden of the yellow mountain' where low frequencies make almost inevitably vibrate the ceilings of the rooms where it is played. 2: 'Deposition' contains ten episodes of various lengths which are connected according to a dynamics of tension and relaxation. There is no particular narrative dimension, but 'scenes', featuring soundscapes from various cities and countrysides, as well as musical (instruments) sounds: voice, flutes, or percussions, which reflect an interest for the fundamental actions of breathing, or hitting objects with the body -- rather than praising the mastery of a particular technique. The sounds generally come from an action which does not have any musical claim, for example, the Senegalese women who crush the millet. The voices are those of the salesmen from the Fischmarkt of Hamburg, the children of Calcutta, Italian dogs howling in the night, or insects of Japanese mountains. Other sounds come from a collaboration with Ryoji Ikeda, from 'In Memoriam Gilles Deleuze' and from the music of the two permanent sound installations of Osaka and Tokyo-Narita international Airport. original score and reconstruction by Christophe Charles. 2 days of performance, 30 minutes each, introducing SALVANILLA dance performance: "Inter/action", Roppongi Hills Arena , Tokyo, on June 28 & 29, 2003. For each pattern will be defined the unpredictable (variable) aspect and predictable (controlled) aspect of frequency, timbre and amplitude of each type of sound. At any moment, the performers are free to produce sounds which are not from the category which has been chosen for a specific pattern. 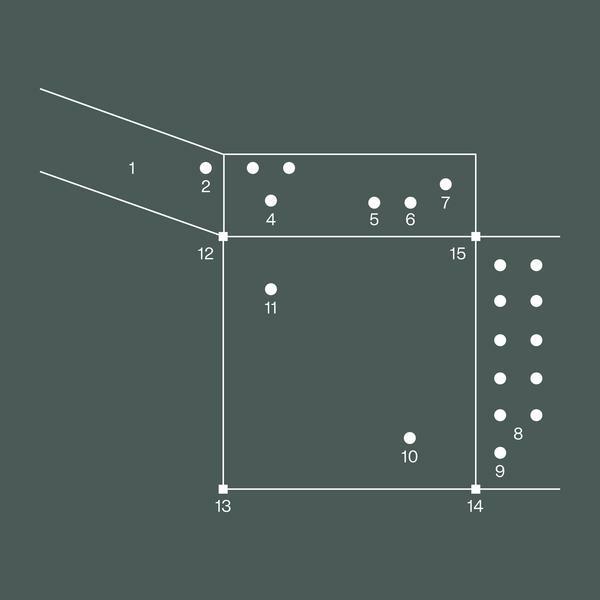 Therefore, the different patterns defined above are combinations of two, three, four, or six performers and do not feature the number one. Each pattern will be performed using a specific type of sound with specific aspects, with no repetition. During the performance of a specific pattern, performers belonging to a same line of a same color will use the same type of sounds. For example in pattern 01, performers 1 and 2 will use the same type of sound, while performers 3 and 4 will use another type, and performers 5 and 6 yet another type. The performance duration is 32 minute on both June 27 and June 28, 2003. The laptop orchestra will perform 16 patterns of a duration of two minutes on each day. Each pattern, sound type and aspect has been chosen using the "urn" object of the Max/MSP software (which generates random numbers without duplicates). Mille Plateaux label director Achim Szepanski collaborated with the publishing company Suhrkamp on a paperback book on "Soundcultures", which included a mini CD (20 minutes) with 20 one-minute compositions by twenty artists (including Terre Thaemlitz, Carsten Nicolai and others). 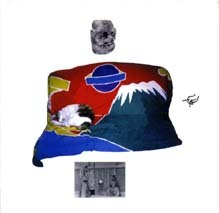 A "soundcultures" compilation CD with longer compositions was planned by Mille Plateaux but has not been released. 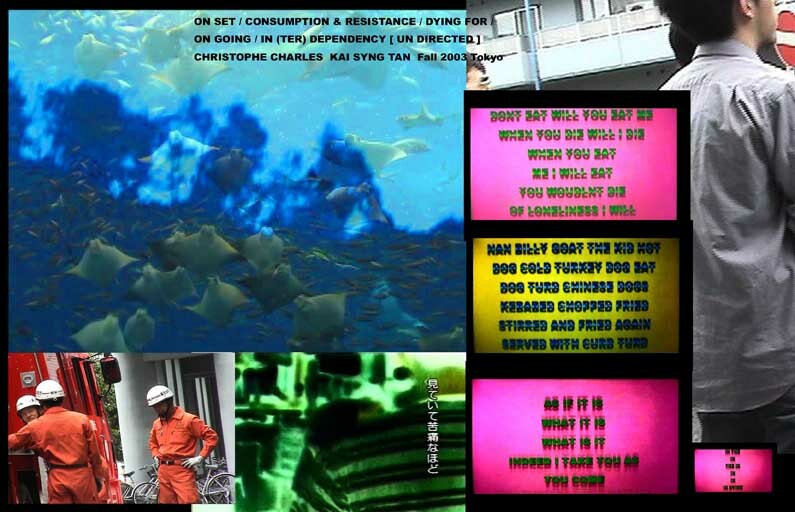 "Über elektronische und digitale Musik"
Dying For (in five poems), including "on set", "consumption and resistance", "dying for", "on going", "in(ter)dependency (undirected)" is "a hauntingly beautiful and expansive, multi-textured music composition set to the score of visual collage by Kai-Syng Tan. Amidst violently cut-to-1/24-of-a-second montage, slowly-drawn landscapes that allude to Tarkovsky, and a dense deluge of text obsessively layered like a Naumen-Beckettian dirge". This weighted mediation on man's relationship with his environment was premiered live at the Institute of Environmental Art & Design's International Environmental Art Festival in Onahama Performance Live, Iwaki, Japan, October 2003. The music score uses the recordings of a concert with Numb at Roppongi Zone. The Numb-vs-Charles collaboration was planned to be released on a CD by Headz (Tokyo) but for unknown reason has not been released. Kai has done a large number of works during her stay in Tokyo (2002-2005) and this is one of the collaborations with Christophe Charles. 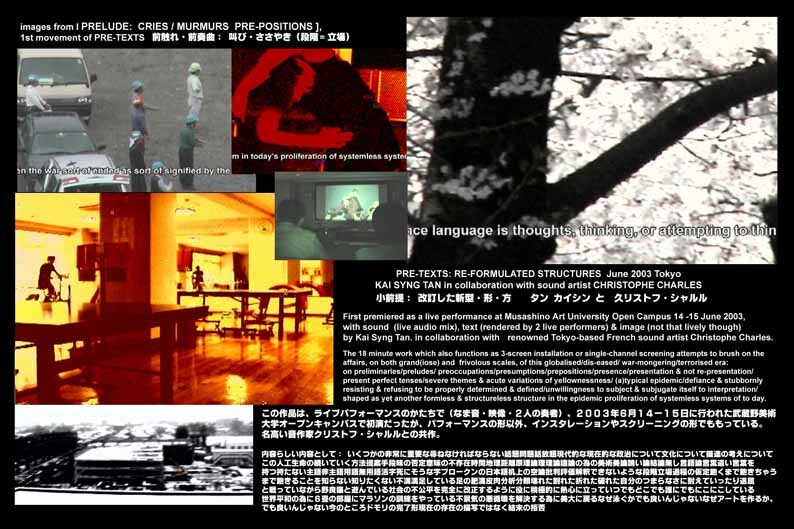 PRE-TEXTS: RE-FORMULATED STRUCTURES, a work in 3 movements by Kai Syng Tan, premiered as a 17-minute live performance at the Musashino Art University Open House 2003, with music (live audio mix, by Christophe Charles), text (rendered by 2 live performers) & image (video projection). Ready for other live gigs/ Japan tour in stadiums, rock-band style. 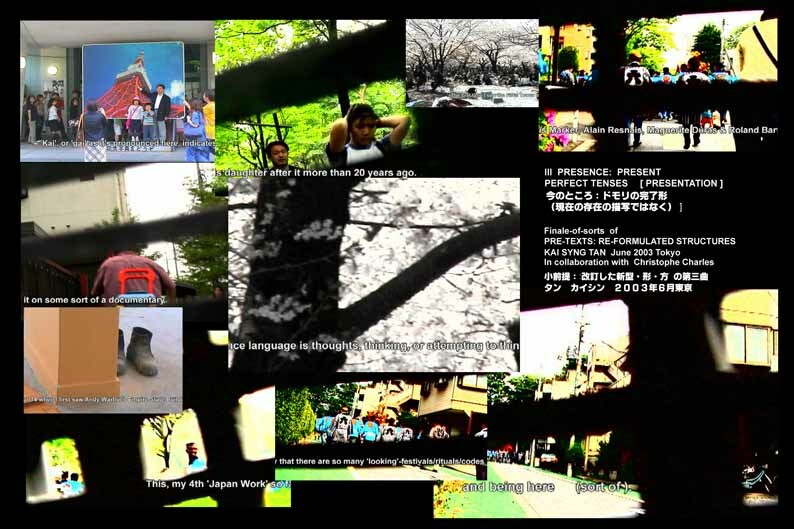 Other formations/modes of presentation of the work include a 3-projection installation (5 minute loop each), single screen looped installation (at the Tokyo Tower, Kyoto Tower, Eiffel Tower, Singapore Changi Airport and Merlion at Sentosa etc) at as well as single-channel projection at cinemas. "Glocken von Henning Christiansen, Samples von Hoon, Gitarre von Jinmo und Soundscapes aus Calcutta, Hangzhou, Puri, Senegal und Taegu. Material für den Beitrag von Christophe Charles zu "FREQUENCity" sind die farbigen Soundscapes der Märkte und Strassen aus verschiedenen asiatischen und afrikanischen Städten. Dabei verfolgt er den Rhythmus der Städte, der manchmal "real" ist, wie das rhythmische Schlagen eines Hammers oder der Lärm von Kolbenmotoren, manchmal aber auch abstrakt, wenn Christophe Charles etwa Töne und Klänge von Musikinstrumenten sampelt oder Sounscape-Frequenzen filtert und neu komponiert. Sehr unterschiedlich in ihrer Wellenlänge, reflektieren sie doch alle das "Auf und Ab" eines urbanen Lebens. Diese bipolare Situation findet ihren konkreten Ausdruck in der Verwendung kontrastierender Sound-Elemente: hohe und tiefe Tonlagen, dichte und lose Texturen, schnelle und langsame Wechsel, die in einem weiten und transparenten Klangraum zusammenfliessen." « Radio, at its best, projects the life of a city. It communicates the passions and concerns of its inhabitants. Radio is fully switched on when it is a social tool. When it builds culture. It does this by engaging the community in a dynamic collaborative where the listener is active participant. There must be a distinction made between commercial radio and public or community radio. While the latter is vital as a vehicle for public discourse, commercial radio, exists primarily for the trade of goods. Public access radio has the potential to be an organic tool of a community and it is here where my interest lies. Integral to radio and something that often separates it from other art-making practices, is its multiplicity of voices. This capability and the fact that radio exists alongside our daily activities gives it unique potential as a tool for development, dynamic art production and dissemination. People listen to radio at work, while preparing meals, lying in bed, working in the garden, driving in cars. This project asks artists to consider the notion that radio be a conduit that transmits the movement of a city, its ebb and flow, its noise and its melody, its church bells, speeches, transmissions, barking dogs, parades. In this series, artists will use city sounds to create and perform works that reflect a social reality. Cage and Schaefer have asked us to think of these sounds as part of an ongoing composition. With this in mind, I move through the city differently, ears open wide, not always searching, but always discovering. The ringing bell of a shovel scraping concrete, the haunting sound of a siren in the distance. How do these sounds feel projected back to us through the radio? What does this information tell us of ourselves? Contemporary online radio projects are creating new spaces for collaboration and network building and for the first time in radio's history - visual content. For FREQUENCitY, artists will develop their work within this new model of online broadcasting where content continues to expand and new systems of interaction and production are developed. Artists include: Achim Wollscheid/Mark Behrens, Alva Noto, Christophe Charles, Con, CM Von Hausswolff, Cyclo., Ekkehard Ehlers, Errorsmith, Farmersmanual, Frank Bretschneider, Hecker, Mainpal Inv., Markus Schmickler, Merzbow, Monolake, Opiate, Pan Sonic, Pita, Pomassl, Random Industries, Richard Chartier, Ryoki Ikeda, Senking, Snd, Steinbrüchel, Stephan Mathieu, Thomas Köner, and Ultra-red. 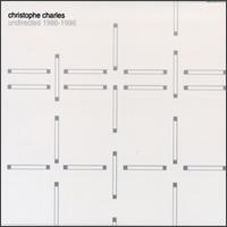 Christophe Charles' contribution is an excerpt from the concert given at the Schirn Kunsthalle on March 8th, 2002, edited to fit exactly the 2 minute window of the compilation CD. In a thematic exploration of the plasticity of sound, five various artists add their malleable constructions to floating foundation vol. 1. With a bit of an architectural bent, these elegant edifices are built as subdued, rambling abstractions most worthy of wandering through. Roughly ruffling layers of janek schaefer's droning electronic dustclouds experience "Lithospheric Shifts" (8:02) into steamier (the rumblier) realms. main : : robert hampson scatters bits of digital debris about the everchanging (sometimes startlingly so) backdrop of sprawling "Hysteresis"; often-eerie planes of alternate existence subtly waver only to be chewed up and spat out in a sudden fit of DSP. 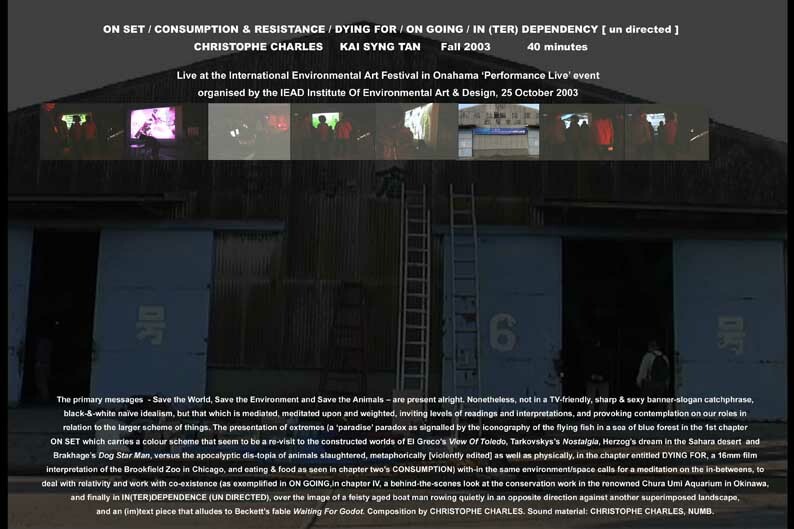 Streaming half-music/half-atmosphere soundscenes overlap, merge and morph in christophe charles' "Undirected float" (14:47). Undirected? Hardly... this surreally meandering piece is another masterly display of unpredictable explorations. In what would have otherwise been an obscure footnote, "Salty Lemonade for Falling Water" by stephen vitiello includes field recordings from the World Trade Center (the day after Hurricane Floyd); this and several other sources simply drift in a spacious sprawl, with a few outbursts of weird highs. 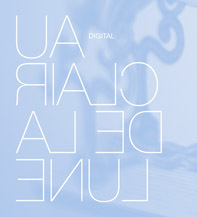 kurt ralske closes the 57.5 minute disc with "Au.Taste" where almost-choral strands hover in blurred layers which shift, split and recombine in serenely thrumming flows. Aptly titled floating foundation vol. 1 provides a walk-through tour of five smartly-constructed avant-garde projects whose experimental flairs are never obtrusive. B. This artwork was realized through the collaboration between three artists of different fields: graphics (Hasegawa Satoshi), light (Osaka Takuro), and sound (Christophe Charles). During the day, the hanging sculpture reflects the colors of sunlight. At certain points, the atrium becomes dark and constellations appear together with sound, inviting travellers to a surreal space tour. « Art work installed at the New Tokyo International Airport has a function to enrich its cultural environment and its value as a gateway to other countries. The art work needs to have innovative expressions that reflects our contemporary values as well as the universal appeal that supersedes any particular time frame. 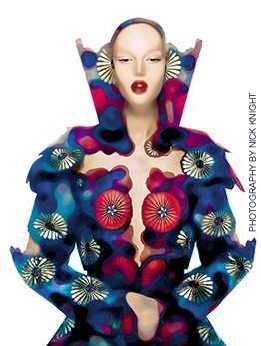 It is also important to incorporate and integrate globalism and Japaneseness within the art work. Given this, Town Art selected two internationally renowned Japanese artists, Takuro Osaka and Hitoshi Hasegawa, and one foreign artist who resides in Japan, Christophe Charles to collaborate on the art work to be installed on the main building of the terminal one. The theme of the art work is "Cosmos." reworking of the "April" CD by Hanno Yoshihiro, using samples of several tracks and merging them together with new sounds into a new composition. reworking of the "April" CD by Hanno Yoshihiro, using samples of several tracks and merging them together with new sounds into a new composition - same as above. unfinished #2 CD contributors: Ikeda Ryoji, David Toop, Tetsu Inoue, Christophe Charles, Hanno Yoshihiro, ESU. 坂本龍一ブラジル写真「ryuichi in rio」、インタビュー: 宮内勝典（作家）／松井章圭（極真空手館長）／久司道夫（マクロビオテック）／フラン ク・ドレイク（宇宙学者）／羽仁カンタ（A SEED JAPAN）／ 日下一正（経済産業省）、鼎談: 村上龍（作家）× 塩崎恭久（国会議員）× 坂本龍一、code report: 地域通貨レポート ／ コモディティーズ（日用品）ストーリー etc. "Music is integral to the culture of fashion and many designers collavorate with musicians or use sound on the catwalk. The sound in this exhibition has been specially commnissioned and selected by composer and curator David Toop. The composers contributing to Radical Fashion are at the forefront of digital musics and sound art. In their different ways they are exploring new forms in technology, sonf writing or composition: all exemplify the geographical and stylistic fluidity of contemporary music." 49th Biennale of Venice, performance "World Peace Economy VI" by Ursula Reuter Christiansen and Henning Christiansen on the roof of the Danish Pavillion, with Christophe Charles, Bjørn Nørgaard, Ute Wassermann, and two tuba players.
" To get rid of art - eller begrebet ANTI-KUNST - det er noget jeg har været optaget af lige siden begyndelsen af tresserne. Efter Musikkonservatoriet og en musikertilværelse (som klarinettist) fik jeg nok af det. Jeg tænkte meget over det konventionelle som stikker så dybt i kunsten. Så kom Nam June Paik og Arthur Köpcke op på scenen til mig - og meget blev forandret. " The "Layeral Intersect" project is a series of CD releases whose process of creation was inspired by the work of the late artist Gordon Matta-Clark. Matta-Clark would take imperiled or dilapidated buildings in fringe urban areas and using little more than a chain-saw createnew spaces within them...spaces that might have possibly been implied by the architect and which Matta-Clark would expose. In a similar fashion, composer Kim Cascone has created new works from disparate bits of music that previously had quite different purposes: unpublished tracks, individual samples, rough studies, location recordings, etc were sent to Cascone which he then turned into recombinant compositions. The "Layeral Intersect" series is produced by a collaborative effort of Deadtech and Anechoic. 10 minute excerpt of the concert chosen by Dieter Scheyhing. reconstruction of the recording of a concert with Brandon LaBelle at FREE SPACE 3 (Tsumura Kousuke), Tokyo, February 2000. 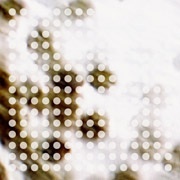 This is an unreleased track performed as a solo sound performance with images by Ishidate Yoko and Nibo during the concert "oval and friends", at CAY (spiral), Aoyama, Tokyo, 2001. Exhibition curated by Hatanaka Minoru with David Toop & Max Eastley, Carsten Nicolai, Ikeda Ryoji, Carl Michael von Hauswolff, Christophe Charles - concerts by Terre Thaemlitz, Jane Dowe, Ikue Mori, Disinformation, David Toop & Max Eastley, Carsten Nicolai, Pol Mahlow & Nakahara Masaya, Christophe Charles et al. "Verena" was inspired from "Verena Vogelzymphon op.194", a composition by Henning Christiansen (released on CD by Edition Bernd Klüser 1991), which uses samples of canary birds in Henning's farm: "am anfang war nicht das wort, sondern ein zwitchern." 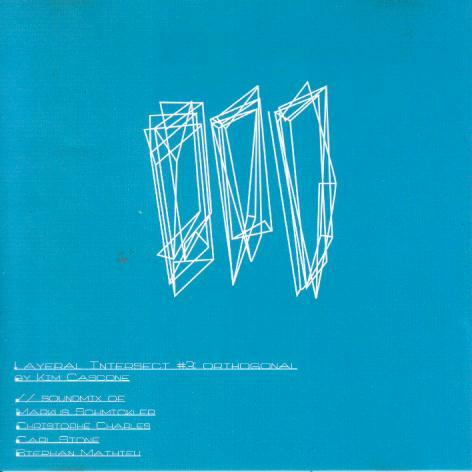 Contemporary Music Festival 2000 "Undirected"
Christophe Charles' remix of a live concert together with Steve Roden & Brandon LaBelle (1998, Kobe Design University). 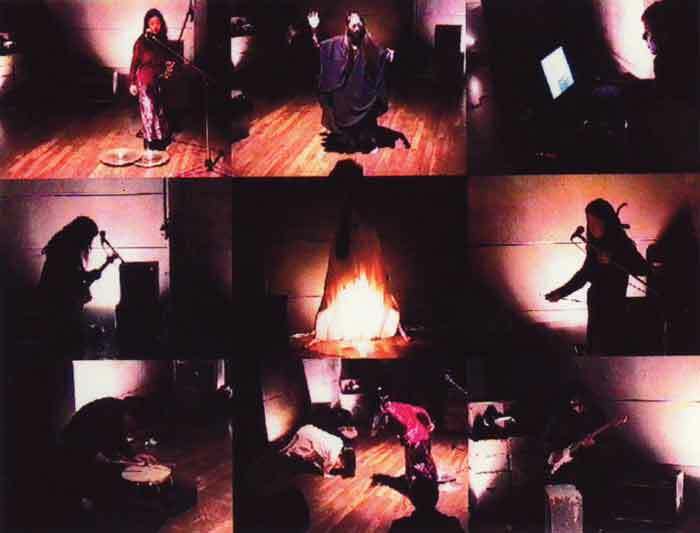 Live performance at Kid Ailack Art Hall, on January 24, 1999, by Christophe Charles, Kaneko Jutok, Mukai Chie, Muronoi Yoko, Takahashi Ikuro. Henning Christiansen "Polar Cirkel - Nord Licht"
"Polar Circle - Nord Licht (blau - grün - rot - gelb - weiss - schwarz)" / "Northern Lights (blue - green - red - yellow - white - black)" ) is a performance by Henning Christiansen, Bjørn Nørgaard and Christophe Charles, at Haus der Kulturen der Welt, Berlin, Germany on October 17th 1999. Sound by Henning Christiansen and Christophe Charles. kura (duration: 4'58): using the recording of a performance with Kazakura Sho (1994), "kura" has been reconstructed several times. This version (4.0) uses seven oval samples. The sound samples are filtered and stretched in various ways in order to emphasize depth in space. Some of the layers have been filtered so that they become hidden or even inaudible, but are nevertheless to be perceived behind. 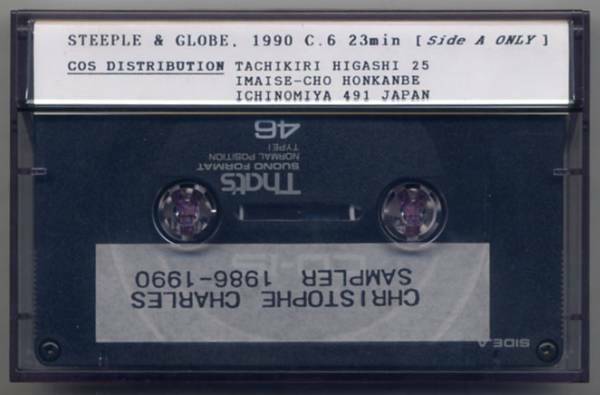 shim-ke (duration: 5'01): A piece originally composed for Shim Cheul Jong's performance "Ke" (dog) in 1994, with samples from Ginza and Shinjuku. The human becomes a dog and a human again. The track is merged with a reconstruction of "Unter den Linden" (1986), a piece based on the recording of a silo and various metal objects. "Unter den Linden" doesn't refer to the Berlin avenue, but to a certain Alsace landscape in 1870 where German bombs are about to fall. A 10 minute version of shim.ke has been released on "Modulation & Transformation #4" (mp61). No oval sample here, but the use of loops refers to a certain oval method. Sound composition with the voice of Maro Akaji (麿赤兒) reading his poem Yukei (幽契), made for a photomovie by Nara Kouji (奈良幸治). 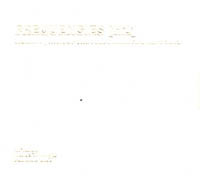 Other musics (N-11, NNN/N-11) by Samamoto Ryuichi (坂本龍一). First - Last : deux points extrêmes mais les mêmes et la même violence. Des textes mystérieux en japonais qui vont s'estompant. Lentement, un transporteur surgit du rien comme un cri modulé entre les deux bombes… Deux bombes ou bien deux témoins muets comme morts dans l'horreur fixe ? Pluie blanche de caractères japonais - kana et kanji - Et, entre les deux poèmes comme deux totems, revient un samouraï farouche. Des corps chutent comme si c'était au fond des enfers. D'autres sont distendus, peut-être des tortues de mer comme celles qui naissent sur le sable aux Galapagos et sont ensuite poursuivies par de grands oiseaux ou des monstres globuleux qui s'en emparent et les dévorent. Un coelacanthe semble surgir du fond des eaux puis le prêcheur lui-même avec ses longs cheveux noirs, le prêcheur au regard farouche. Son mouvement est décomposé, hâché menu . Et les deux témoins deviennent supports de poème. Soudain en avant d'une grotte se dessine le visage d'Einstein et peut-être bientôt celui d’Oppenheimer. Un homme nu , le sexe irradié, surgit et s’essaie à voler comme Icare et il danse dans l'espace vide. D'autres se joignent à lui de la même façon : hommes nus, sexe irradié, avec un mouvement symphonique en arrière fond. Splendeur des images de crucifixion. Un escargot surgit cornes pointées au-dehors, descendant le long du corps à la manière des futuristes qui peignaient les moments différents du mouvement comme Carra ou Balla. Et l'on retourne aux monstres qui s'accouplent : des batraciens immenses, des scarabées qui avancent. 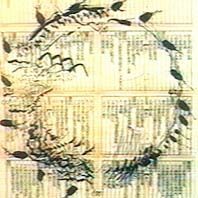 Très belles compositions liant le prêcheur à des morts avec une lecture graphique des textes en en japonais, colonnes de signes qui finissent par isoler de nouveau les deux bombes. Et la vidéo se poursuit sur une vision du bord de mer sous la grotte avec des photos en fondu enchaîné, comme si les bombes surgissaient de nouveau dans la mer, sur les galets. Dans la rue d'une ville japonaise le prêcheur -- sa remorque vide - nous conduit sur un marché. Et ce sont des scènes d'un marché nocturne où une mère à l'enfant dans la carriole et une armée des tireurs de carriole surgissent du fond de l’écran . Morne répétition qui vient du fond de scène tandis que se dressent deux champignons parallèlement aux deux bombes atomiques. On retourne ensuite aux images intermédiaires et la silhouette du pêcheur disparaît. Le mot Garden clignote puis s'arrête et l'ensemble de l'écran devient tout noir. C'est là une composition très efficace : ce côté répétitif et quasiment fatal de l'horreur de la bombe, de l'horreur de la violence. Mais René Girard ne dit-il pas que dans l'acte de violence il y a chez la victime elle-même une sorte de violence qui répond . Et la dualité des bombes ne recouvrirait peut-être pas seulement les deux bombes d’Hiroshima et de Nagasaki mais aussi la violence dans l'histoire subie et imposée, parfois par les mêmes. Quoi qu'il en soit, ce qui ressort ici c'est l'impression rendue à la fois par les hachures de la vidéo et par le côté répétitif de la musique qui accompagne les cris des hommes, la voix d'homme qui chante. Et même à travers les sons émis par les hommes, il y a une violence sourde qui martèle l'arrière fond de l'écran et qui marque, elle aussi, l'arrière-fond de l'espace. Puissance forte de ces images qui se succèdent avec un caractère de nécessité et nous font retourner à la fin aux images du début comme s'il y avait une sorte de cercle vicieux de cette violence une fois qu'elle avait été lancée sur la terre. De même que la terre est ronde , il était fatal que la violence revienne sur elle-même, le lanceur à son tour devenant la victime. C'est probablement une réflexion picturale et une réflexion de vidéastes sur l'éternel retour ou plutôt sur le caractère inéluctable de ce re-surgissement de la violence à épisodes réguliers dans le monde. Et contre cela, la lutte de toutes les femmes, et de toutes les filles dès lors qu'elles ont été mères. Elles ont besoin de protéger leurs petits. Elles ont besoin de lutter contre toutes ces forces de mort qu'apporte la guerre, contre tous les grands malheurs que nous promet l'avènement du XXIe siècle. C'est donc un hommage dans la mesure où la vidéo est extrêmement composée extrêmement recherchée, un hommage structuré sur des éléments graphiques ou sonores répétitifs, mais qui ne procurent jamais d'ennui aux spectateurs . Ils suivent, emportés tandis qu’apparaît la vision de ceux qui nous sont chers et qui sont morts. Et c'est comme si nous voulions conserver le contact avec eux à travers ces images. Comme si nous le conservions. Unreleased tracks produced for a 4-channel sound installation for a tea ceremony and a demonstration of ikebana in Tokyo, 1997. This CD-plus has two parts: a 60 minutes audio part, which notation is printed on the cover, and a data part, which elements are explained here. The audio part consists in several pieces composed between 1986 and 1996. They were gathered on five CDs: "circle" (1986-1994, non published), "dog" (1993-1994, non published), "next point" (1992-1993, Gallery Ham, Nagoya), "deposition yokohama" (1993-1994, Yokohama Museum) and "statics" (1995, CCI recordings, Tôkyô). They appear on "undirected" in the "ready-made" order of these CDs, which is related to the alphabetic order of their name ("circle", "dog"), or the order of their performance ("next point", "deposition yokohama"). These recorded compositions are mixed with samples banks triggered by a Max patcher on the same model as the "undirected.usnd". However, it didn't use the "usnd" object, but was connected to the MIDI-in (program changes, pitch, velocity, duration, controllers, etc.) of a Kurzweil/Young Chang K-2000RJ™. 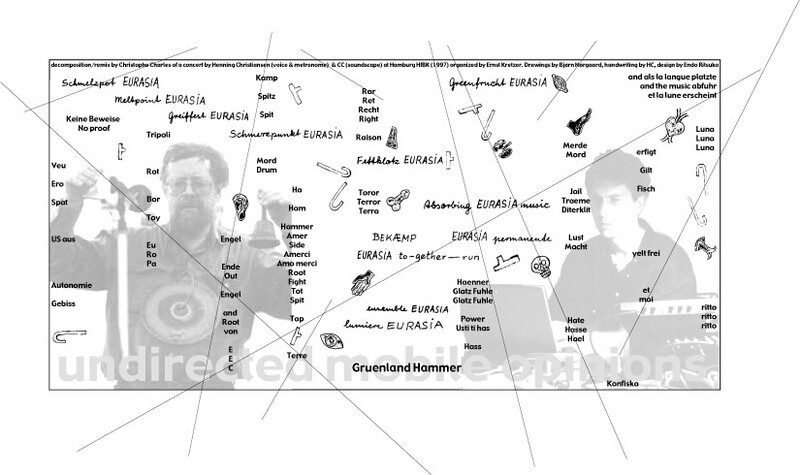 These banks were chosen according to their size (to fit the 16MB RAM of the K2000) and their presence in the pieces: they feature sound samples of former compositions, and new samples which appear according to the alphabetic proximity of their name ("ginza", "glocken", "gong", "hafen", etc.). The 1996 "undirected" composition intends to make clear how the compositional principles of all these pieces are interrelated. The Wire (3/98, p.59) - "...patched together from soundfiles supplied by computer composer Christophe Charles....It is [the sound of] software: a malignant system champing its way through familiar signs, and languages, leaving only disfigured traces." This is a mix of several released and unreleased pieces : shimke (long version), statics, undirected/continuum, and Kalkutta Kreis (the last piece of the undirected 1986-1996 CD). 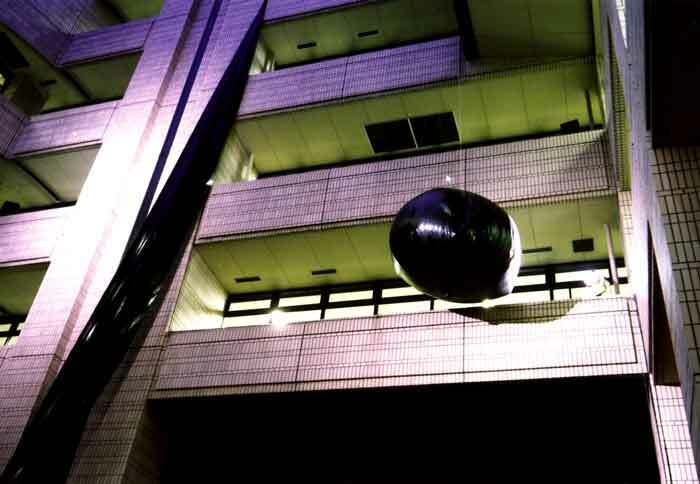 I have also used a recording made at the Fukuoka Museum of Art during a performance with Neo Dada Organizer Kazakura Sho and his baloon in 1994, which is at the basis of the undirected/dok track: kura, and several other pieces. "Storage Area - Beuys' Pit - 75 Years - Valhalla" ("Lagerplatz - Beuys Pit - 75 Jahre - Walhalla") is a six hour performance that H. C. held together with Bjørn Nørgaard, Christophe Charles and Gordon W. Sharfness at Prater Biergarten in Prenzlauer Berg in Berlin, Germany, on August 11th 1996.
with Darrin Verhagen, Akira Yamamichi, Ryoji Ikeda, Jim O'Rourke, Kazuhiko Kinami, Alan Lamb, Christophe Charles, Paul Schutze, David Toop, Andrew Lagowski + Toru Yamanaka. In spring at Akademie Schloß Solitude in Stuttgart (Germany), featuring Christophe Charles (electronics), Ursula Reuter Christiansen (voice), Juri Madono (voice), David Moss (voice, electronics, percussions), Mary Oliver (violin) and Vilém Wagner (violin). In July at P3 (Yotsuya, Tokyo, Japan), featuring Christophe Charles (electronics), Ursula Reuter Christiansen (voice), David Moss (voice, electronics, percussions), Vilém Wagner (violin) and Ute Wassermann (voice, devices) - organized by Arion-Edo Foundation and Christophe Charles. Track composed by Christophe Charles using samples of Juri's voice, stones and bells, processed through digital reverb. Performed by Christophe Charles (soundscape) & Juri (reading). One take, no overdub, no preparation. Performed live by Juri (voice), Reiko A. (voice), Furudate Tetsuo (voice, guitar), Suzuki Yuko (voice), Pneuma (keyboards), Christophe Charles (electronics). Short version of the unreleased recording of a performance with Kazakura Shô at Fukuoka Asian Art Museum, organized by curator Kuroda Raiji. I have collaborated with legendary performer Kazakura Shô (founder of Neo Dada Organizers) eight times: during the Megalopolis Aborigines Tour in 1992 (Berlin, Gent, Eindhoven, Nice), at Fukuoka Asian Art Museum in 1993, at NIPAF Tokyo and Nagano in 1995, and at the Neo Dada Exhibition（「ネオダダ一断面」展）in Oita in 1995. Except for the Nagano performance where he used piano strings attached through the theater, he used each time his black balloon. This recording has been used in several compositions, in particular kura from undirected/dok and other compilations. These compositions have no beginning or end, and are not based on any kind of storyboard: they are conceived to be looped and heard continuously in a specific environment. Each sound stands heard for itself, and no one covers or eliminates another. The sounds contained in these compositions also permit sounds of the environment happening in real time to be heard simultaneously. By hearing these compositions, the listener is led to pay more attention to the sounds which are not featured in the composition: I am looking for the possibility to make all sounds audible, by the use of specific time structures. performed and recorded in Denmark, France, Germany, Holland, India, Japan, Korea, Mexico, Spain from 1986 to 1990. 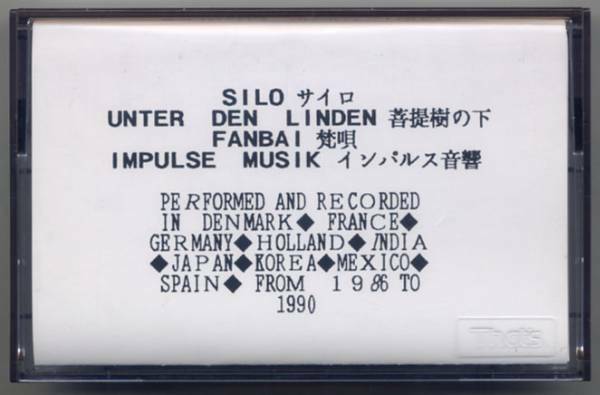 Track recorded at Gallery Naito (Nagoya) in 1988, from the sound installation "From Circle From Sound" (two persons exhibition with painter Ahn Sung Keum), and published on the cassette-tape of the exhibition "Der gute Ton zum schönen Bild" at Kunsthaus Hamburg (January 1989), organized, curated and edited by Ernst Krezter (Hochschule für Bildende Künste Hamburg). The installation was made of 15 bamboos standing in the gallery from floor to ceiling. Contact microphones were attached to the bamboos, linked to a pitch/delay controller which transformed the sounds coming from cassette tapes. 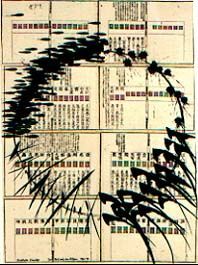 Furin (wind bells) were attached to the bamboos and because of the air conditioning, were hitting the bamboos irregularly. Unreleased track used in the last part of « undirected 1986-1996 ». Music for the performance der hirt auf dem felsen at the exhibition vidéo et multimédia organized by Soungui Kim at La vieille charité (Marseille, France) in Summer 1986, with John Cage, Nam June Paik, Daniel Charles, Philip Corner, Gerard Frémy, Claus Böhmler, Ernst Kretzer, Henning Christiansen, Mike Hentz, Ute Wassermann, Tilman Küntzel, et al. Unreleased track used in the last part of « undirected 1986-1996 ». 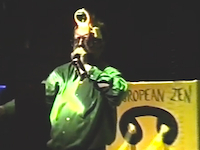 recorded in Kolkota, Puri and Hamburg, edited with advices from Henning Christiansen in Hamburg, exhibited at vidéo et multimédia exhibition organized by Soungui Kim at La vieille charité (Marseille, France) in Summer 1986.